I know I've been kind of... very... absent lately and I apologize. But hey, when you see this you will understand why I've been slightly busy. 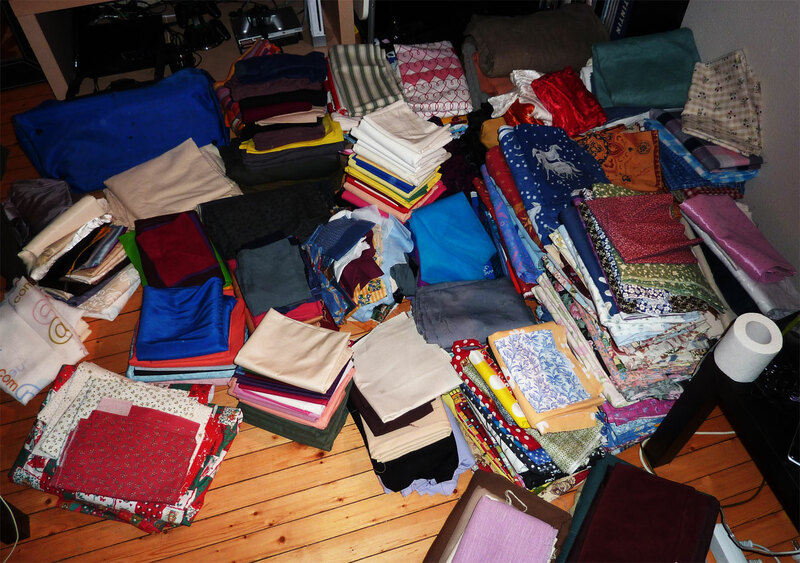 You see, my dear friend and neighbour has a mother who decided she had too many fabrics lying around. Me, being the fantastically generous person I am, offered to take them off her hands. Suddenly I had five boxes taking up my livingroom and a boyfriend that shook his head while I was dancing around in a state of utter happiness. I started with the thought of taking pictures of my favourite finds, but got so caught up in all the prettiness that after these two I forgot about the camera completely. My only problem now is that I have so many plans and ideas for these fabrics that I have no idea where to start.